Pleasant surprise.. got a call on Thursday, if I'd like to participate in an exhibition in Leuven, for the opening of an event and design bureau, where my friend Ben Nys was exhibiting his great paintings. So, first about Het Ontwerp. Het Ontwerp is a couple that design. Steve and Cathy. Wonderful people with a vision. They do graphical, but also full events and campaigns. They get you known. And opened an office in Beautiful Leuven. And to make a visit to their office worthwhile they started exhibitions, which will change every 2 months. And make their office a really pretty place! I mentioned Ben. I love Ben. And his paintings. They are amazing. Down to earth, abstract, beautiful pieces. And here is his facebook link..
Then there is Liesbeth Goorelst. Didn't know her before, now I'll remember surely. Quality leather handbags. Beautifully made, classy bags. Here's her facebook link..
Then there's Insectorama. A really unique idea. These guys made plastic cut-outs of parts of insects, which you can use to draw your own creatures, using different parts to make exiting new beasts, with the fangs of an ant, the bottom of a catterpillar, and many more parts of a really large variety of insects. Really, you'll just have to see it, and order the set (only 7 € I think!) and start playing with it. So looks like I'm in really good & unique company there, am very happy to be included! It's nearly there, next friday June 22 at 20:00h the artfair will open for 3 days of Art, music & workshops. We have been working hard, in too short a time to get things ready for you! What can you expect? On Friday 22 there is the official opening with live music from myself. Expect quiet songs, covers I love, an eclectic mix of old Dutch and English songs. You can find some samples here. All 3 featured artists will be around all weekend for you to talk to, discuss their works and philosophy, and you can have a glass of wine, weather forecast is good, and there is plenty of garden with table and chairs to recline on this beautiful location. For the rest: there is drinks available, and for the younger ones there are workshops organized, it is a very child-friendly environment, a perfect outing for the family in a beautiful and inspiring environment! All 3 artists offer 10% off their normal list prices for the weekend only, and there will be a raffle, if you buy anything from the artists you have a chance of winning a 25€ voucher to spent in any of their shops! We are already looking forward to seeing you there, to be able to have a chat, and to inspire you with our love of art! This second post on the upcoming Art Event at the Oog'n'blik arthouse featuring Jagna Birecka (see post below), myself, and Ben Nys, is presenting Ben Nys. Ben Nys is the owner of the Oog'n'Blik Arthouse, where since 1992 he has been organizing art events under the name of openblikdagen, for which he would gather several fitting artists to feature over the course of one month in their home, a rebuilt old Café, a perfect setting for an easy walk-in. He has studied Graphical Design, and loves to present and experience art in friendly surroundings. "Where aesthetics, architecture, philosophy and culture melt into each other ... that's where my world begins"
Ben is making abstract and expressive art, which hovers between paintings and sculptures.His art is very organic, he integrates dried flowers, twigs and grass in his latest series, his style is leaning more to 3D over the last years. Mostly he makes fitting series, like the ones above which are thick (4 cm) canvasses of 10 x 10 cm (3.9 inch), or like below, which are 20 x 20 cm (7.8 inch) canvasses. 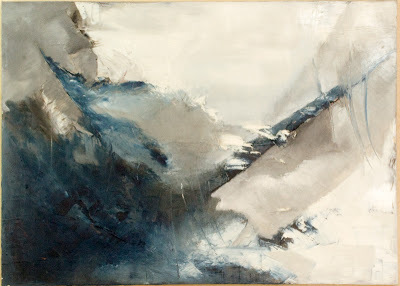 It is very difficult to get the true depth and colours to be displayed online of his works, he has a few great, big new canvasses with white oil paint on them, which I just have not been able to capture on film, I would suggest you to come and see them live on the event on the weekend of 22, 23 and 24 June. On Saturday 23 and Sunday 24 Ben will be giving workshops to children on how to create 3D paintings in his style, best inscribe soon at Ben.Nys@telenet.be as the amount of participants is limited to 8 maximum! As mentioned in the last post I was going to tell you more about the upcoming art-fair at Ben Nys his Oog'n'blik art house. I am going to highlight Ben and Jagna's works for you. Ladies first, so I am going to tell you about the works of Jagna Birecka. 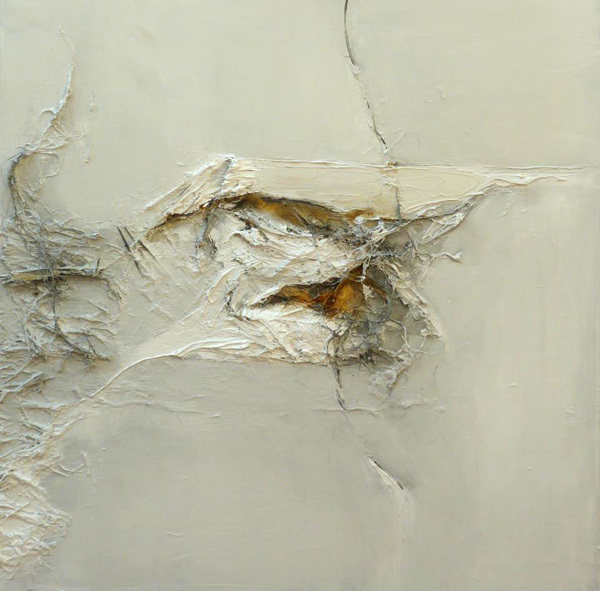 Jagna's works are mostly abstract. She makes clay sculptures with flowing forms, and makes great photo's. 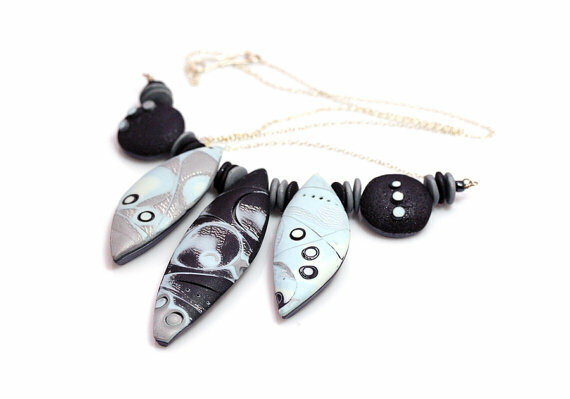 On the art fair she will be presenting us with her wearable art creations. Her own words: Being both an artist and an architect I am interested in combining art and science in my artwork. I am using geometric forms, linearity and abstract patterns to represent architecture, science, products of our world, but also the surrounding nature, the Universe - and my own emotions and feelings. Now these pieces are all unique, one-of-a-kind creations. Sci-fi comes to mind, contemporary art fits, as does modern art, it is hard to place these creations under a certain category. Being both an artist and an architect I am also torn between the art and the functionality of my works. 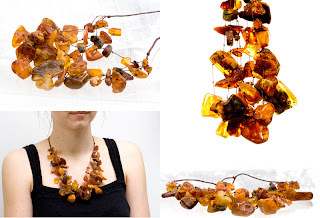 Therefore I have chosen to follow a very exciting path of creating wearable (thus functional) art objects which can be turned into visual art pieces. And not only are they functional, they are also very beautiful, and very affordable! 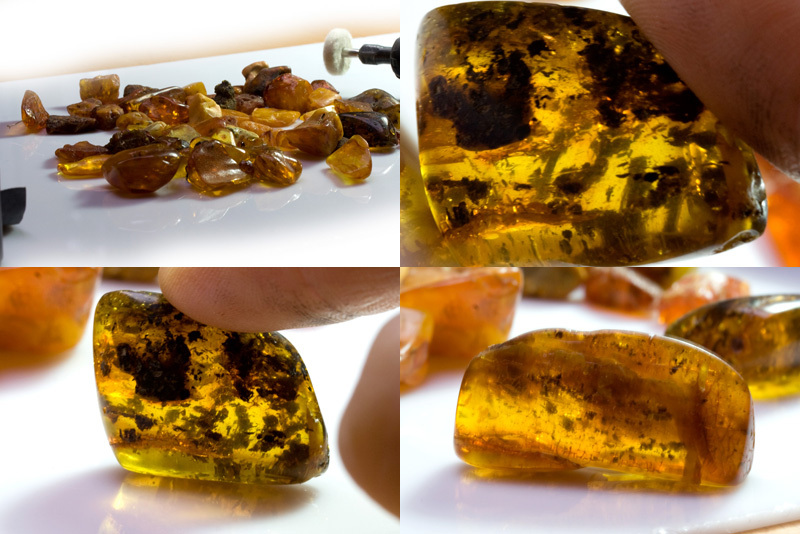 Now the photo's, good as they are, don't do the pieces justice. 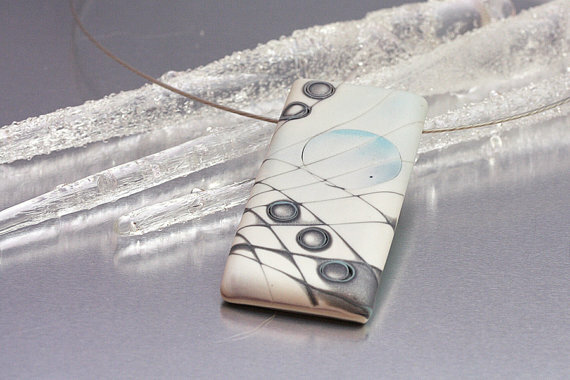 Their finishing is very smooth and well polished. The lines you see you do not feel, they're magnificent pieces! She will give 2 workshops at the weekend suited for children from 6 to 12, Saturday from 13 to 16h, and sunday from 15 to 18h, if you want your children to attend you'll need to inscribe before June 15 at ben-nys@telenet.be. 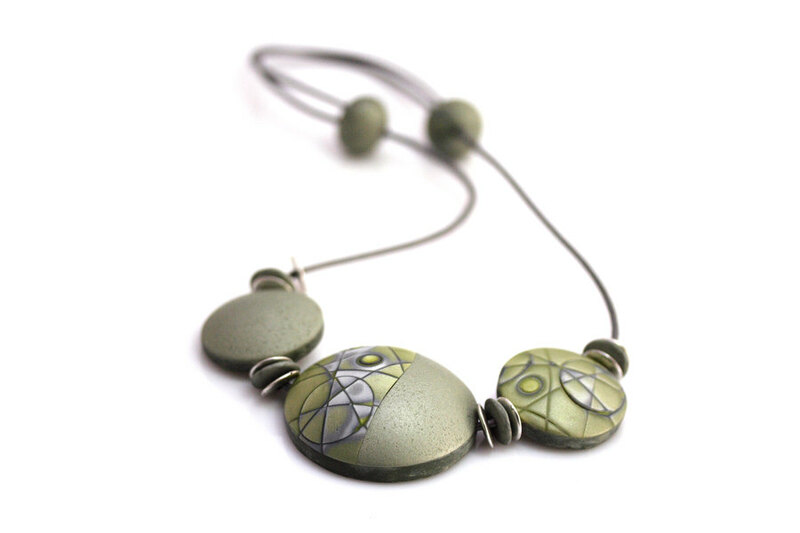 More on Jagna on her website, more on her works for sale in her Etsy shop. Website renewed, online & looking good! Having many skills and hobbies has its advantages and disadvantages. Advantage is that you can combine your hobbies, and do many things yourself. I've had my shop on Etsy for about half a year now, but some things about it bother me, like the fact that I am spending lots of time promoting Etsy, but they do not really promote me. And I love the community on Etsy, and have found many interesting artists and people on there, but there is more and more really crappy junk shops and cheap import from the east popping up, and this is not something I really want to be associated with. 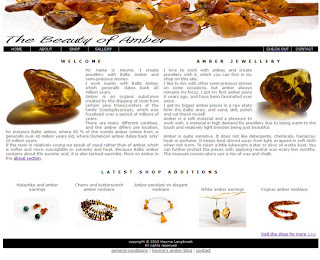 So I figured to put my web building skills to work, redid my old amber site and shop, and figured I better establish myself there. No listing fees, no limits on amount of pictures, links to other sites just work, items do not expire, and Etsy does not get a cut. And I have more space to talk about amber, can highlight the true beauty, and show off my pieces also after they have been sold. 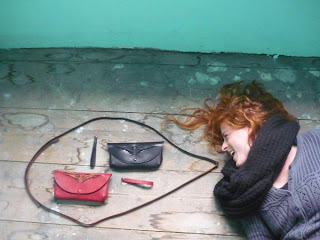 Jagna had the same idea, and got her site online also, www.jagna.be. Looking very sharp, and much better suited to get a name. Really Etsy has got us so far that we do not like to put a link on our visiting cards to Etsy anymore, it looks too cheap now. There's still great shops and artists on there (hey, we're still there! ), but it is declining..
Now there still is the music making part to combine, another life-time love of mine. 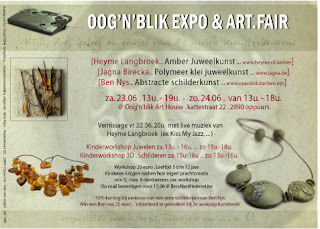 First one is planned already, Friday June 22 I will be playing on the opening of a 3 day sale of Jagna's art jewellery, my amber pieces, and paintings of our good friend Ben Nys, at whose place the whole event will take place (for which we are very grateful already). More on this event later, for now you can check the schedule at our facebook event, and reserve the dates! We, a group of Etsy sellers, have decided to collectively set our shops on vacation mode on the Etsy site on May 10 in protest against recent controversies. The participating shops will not conduct business for 24 hours. People that came to Etsy could be sure they bought straight from the artist. They would get a genuine handmade, unique article. This is why I am selling there. But now our little shops are slowly dissapearing under the heavy load of huge shops that list mass produced items, whom can list hundreds of items a day, and the problem is only getting bigger. If you are aware of some recent events on Etsy, you know where this comes from (if not please have a look at Regretsy). We believe in the mission of handmade and the real spirit of Etsy - a community of artists, crafters and artisans and the people who support them. But that spirit is slowly been eaten up by a greed for dollars. We have stood by Etsy, promoted Etsy, believe in Etsy, but recent events have shown we are losing the good fight. To give a clear message in a peaceful way we have launched this protest. Because we would like to again believe in what we believed in before. Thought I'd share my latest creation and how it came to the world. I'm going to skip to the end, here it is! For a while I had been making stock for my Etsy shop, with the sole intent of filling it up a little more, creating bracelets, earrings, things not too expensive so they would actually sell. But every time I opened my box of amber all these shiny big nuggets were staring at me. 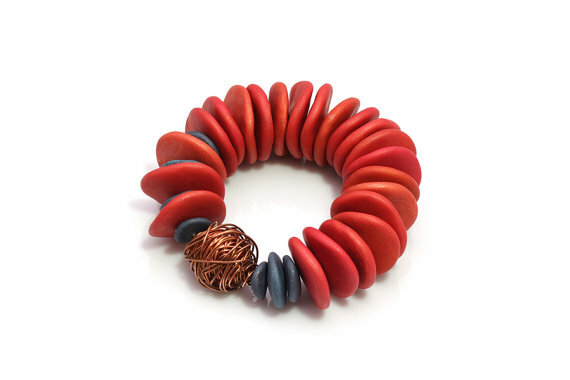 And I still wanted to make a match for my big raw bracelet which has been my personal favourite and the eye-catcher in my shop. It needed a fitting companion. Not for now I thought. Not these stones. Not now..
And last week finally it was too much, and out came the stones, sandpaper, dremel, all in a big heap. After 3 evenings of patiently sanding (starting with 400 grain, then 600, 800, 1200 and finally 2000) I was sort of happy. Then the polishing had to be done, this is such a grateful job, this is when the stones start to really shine! 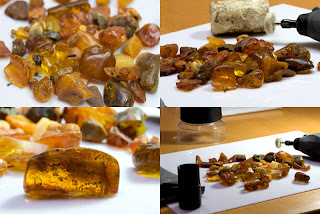 I apply a bit of special wax for amber to the stones so they will be protected and keep their shine for quite a while, wonderful effect! And then the drilling has to be done, most carefully otherwise they crack! Also there were a few stones with insect & moss inclusions, which are very valuable. You do NOT want to drill to close to these! 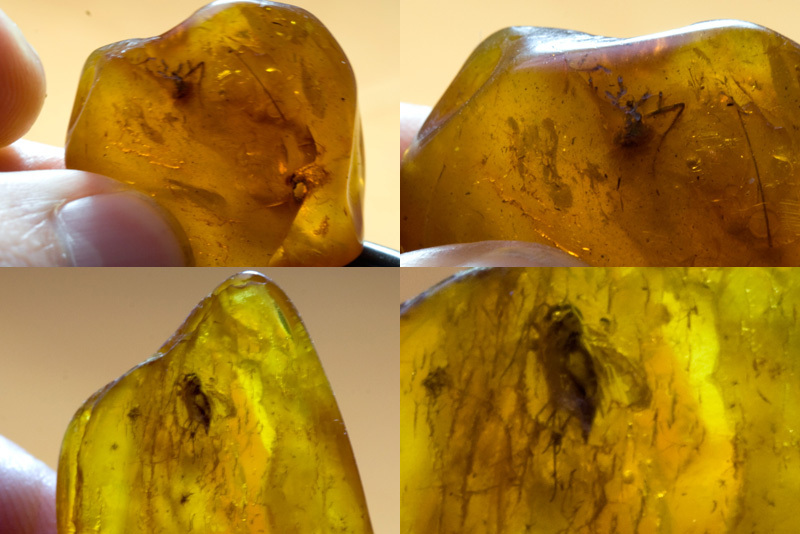 This spider and fly have been trapped in these stones for 40 million years..imagine..Granted, they are not the famous lizard in Amber which is on display in the amber museum in Gdansk, but all the same pretty special. 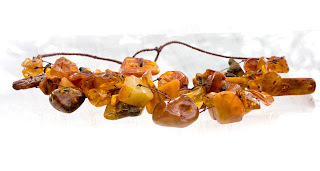 I had some discussion with my wife on adding these stones to the necklace, but I figured that if you are making a special necklace, you should not hold back. These just add to the beautiful majesty of the piece, just as below, moss entrapped pieces. But I am deviating.. After spending 5 evenings and a day with the stones I was finally ready to string them up. On hemp. 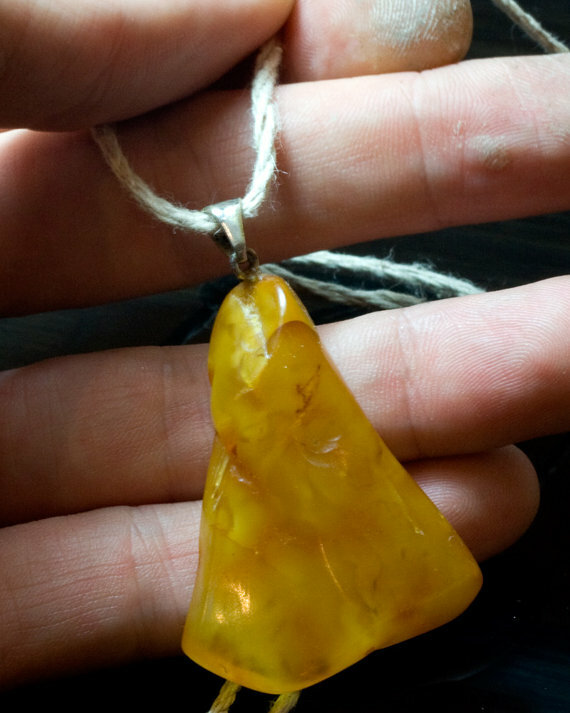 I like amber on hemp, it keeps it natural. And you can knot it easily, so the stones have space. These ones certainly needed space, every single one is beautiful. With the heap I had I needed multiple strings, to make it a full, majestic piece. So, string them up I did. 4 strings full of gorgeous stones. 107 grams in total. 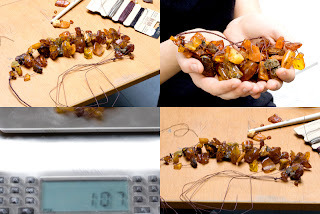 Considering the weight of amber a huge amount. My bracelet weights 1/3rd of that.. The end of the strings I wrapped with more hemp for solidity, and put a shiny, big stone on one end for a button-closure, the other end was strung in a loop, and now it is done, finally. It is as beautiful as I had in my head. And a fitting companion for my bracelet. 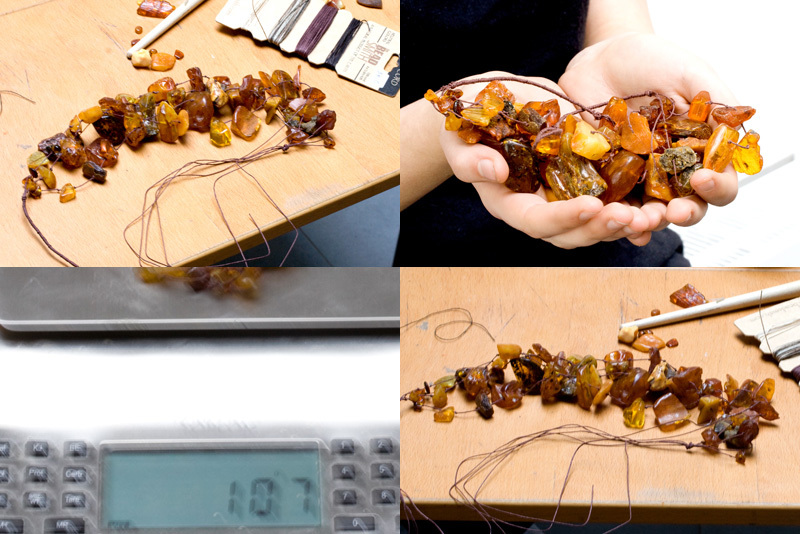 Over 50 stones, total length 59 centimeter (23 inch) the biggest stones are 1 1/2 inches long. It is absolutely beautiful, fit for a princess.